All three classes Executor, ExecutorService, and Executers are part of Java's Executor framework which provides thread pool facilities to Java applications. Since creation and management of Threads are expensive and operating system also imposes restrictions on how many Threads an application can spawn, it's a good idea is to use a pool of thread to execute tasks in parallel, instead of creating a new thread every time a request come in. This not only improves the response time of application but also prevent resource exhaustion errors like "java.lang.OutOfMemoryError: unable to create new native thread". A thread pool which is created when an application is a startup solves both of these problems. It has ready threads to serve clients when needed and it also has a bound on how many threads to create under load. From Java 1.5, it was application programmer's responsibility to create and manage such thread pool but from JDK 5 onward Executor framework provides a variety of built-in thread pools in Java e.g. fixed thread pool which contains a fixed number of threads and cached thread pool which can spawn new threads when needed. The main difference between Executor, ExecutorService, and Executors class is that Executor is the core interface which is an abstraction for parallel execution. It separates task from execution, this is different from java.lang.Thread class which combines both task and its execution. You can read the difference between Thread and Executor to learn more differences between these two key classes of Java. On the other hand, ExecutorService is an extension of Executor interface and provides a facility for returning a Future object and terminate, or shut down the thread pool. Once the shutdown is called, the thread pool will not accept new task but complete any pending task. It also provides a submit() method which extends Executor.execute() method and returns a Future. The Future object provides the facility of asynchronous execution, which means you don't need to wait until the execution finishes, you can just submit the task and go around, come back and check if Future object has the result, if execution is completed then it would have result which you can access by using the Future.get() method. Just remember that this method is a blocking method i.e. it will wait until execution finish and the result is available if it's not finished already. By using the Future object returned by ExecutorService.submit() method, you can also cancel the execution if you are not interested anymore. It provides cancel() method to cancel any pending execution. Third one Executors is a utility class similar to Collections, which provides factory methods to create different types of thread pools e.g. fixed and cached thread pools. Let's see some more difference between these three classes. 1) One of the key difference between Executor and ExecutorService interface is that former is a parent interface while ExecutorService extends Executor i.e. it's a sub-interface of Executor. 2) Another important difference between ExecutorService and Executor is that Executor defines execute() method which accepts an object of the Runnable interface, while submit() method can accept objects of both Runnable and Callable interfaces. 3) The third difference between Executor and ExecutorService interface is that execute() method doesn't return any result, its return type is void but submit() method returns the result of computation via a Future object. This is also the key difference between submit() and execute() method, which is one of the frequently asked Java concurrency interview questions. 4) The fourth difference between ExecutorService and Executor interface is that apart from allowing a client to submit a task, ExecutorService also provides methods to control the thread pool e.g. terminate the thread pool by calling the shutDown() method. You should also read "Java Concurrency in Practice" to learn more about the graceful shutdown of a thread-pool and how to handle pending tasks. 5) Executors class provides factory methods to create different kinds of thread pools e.g. newSingleThreadExecutor() creates a thread pool of just one thread, newFixedThreadPool(int numOfThreads) creates a thread pool of fixed number of threads and newCachedThreadPool() creates new threads when needed but reuse the existing threads if they are available. That's all about the difference between Executor, ExecutorService, and Executors in Java. Remember, all three are part of Executor framework. Java provides some out-of-box thread pool implementations e.g. pool of fixed number of threads and pool of cached thread which can expand itself depending upon load. The ExecutorService class provides submit() method which can return the result of computation and Executor provides execute() method which accepts a task which can be executed by the same thread, a thread pool or another thread depending upon implementation. 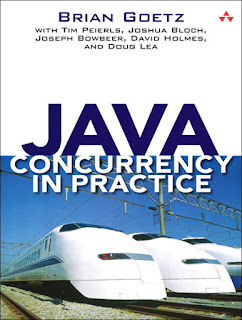 You can further read "Java Concurrency in Practice" to learn more about thread-pools in Java. Good to see such a detailed explanation. Thank you Javin. 1)Executor just executes stuff you give it. ExecutorService adds startup, shutdown, and the ability to wait for and look at the status of jobs you've submitted for execution on top of Executor (which it extends). Cancel the task prematurely, with the cancel method. Wait for the task to finish executing, with get. So for example newFixedThreadPool(5), will initially create 5 threads and reuses the same threads again and again correct?.. please correct me if i am wrong. Hello @Kranthi sama, you are right, fixed thread pool will reuse the thread and won't create new threads if there is more load. If you want dynamic resizing of thread pool then you can use cached thread pool, which creates new threads based upon work. Thank you @malikarjun, please share with your friends too. Executor & ExecutorService are interfaces not classes. Correction is needed. It's confusing.! May i know please is this question's relevant to 1 year exp candidate also? Hello Pravin, chances are less but you never know. Though, I suggest you first go through the list 50+ Basic Java Interview Questions, which is more relevant to 1 year experience candidate. All the best.